Watch this short film of the Appetizer performance, called I love English folk dance! as it features brief interview clips with some of the enthusiastic dancers as well as their vibrant dancing. The film is available on the film tab (rectangle with arrow in it) at the top of this panel. 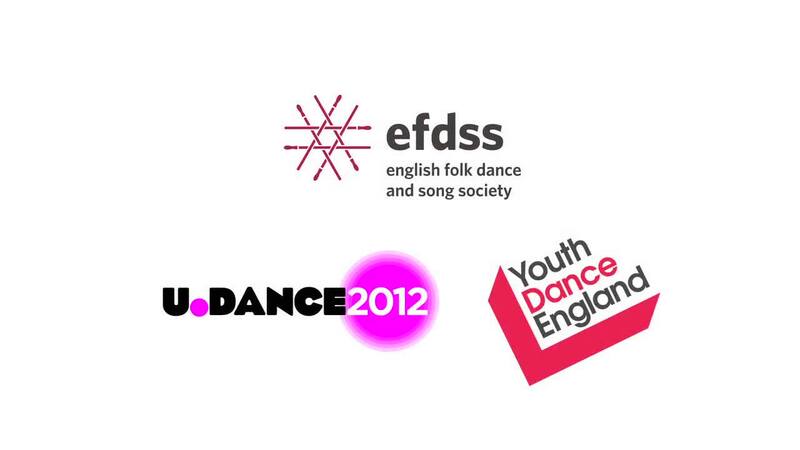 In July 2012, EFDSS were invited by Youth Dance England (YDE) to present a youth folk dance ‘Appetizer’ performance at The Clore Ballroom, Southbank Centre, London, as part of YDE's national youth dance festival, U.Dance 2012. The performance, on Sunday 15 July, featured the dynamic dancing of seven of the best youth folk dance groups/sides from around the country. Nearly 80 young people ranging in age from 6 to 25 performed to around 400 enthusiastic audience members! Between them they demonstrated the diversity and vitality of English folk dance as performed by young people in England today. Earlier in the year we had worked in partnership with Laban Youth Dance Company to introduce their dancers to Cotswold morris. Following two initial morris workshops, they went on to choreograph a joyful new folk-inspired contemporary piece which was also performed at the U.Dance Appetizer.